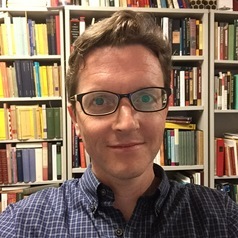 David Larkin is a Senior Lecturer in musicology at the Sydney Conservatorium of Music, specialising in nineteenth-century music. His research interests are centred on the works and aesthetics of Richard Strauss, Franz Liszt, and Richard Wagner; program music; the analysis of music; and issues such as originality, influence, and historiography. His work has appeared in 19th-Century Music, Music and the Moving Image, The Cambridge Companion to Strauss and the Musical Quarterly. He is currently working on a study of progressive composers in the 19th century, and how they conceived of the relationship with their audiences then and in the future. He is a regular pre-concert speaker for the Sydney Symphony Orchestra and Musica Viva, and reviews classical music performances in Australia and overseas.